Google searches show that R has some quite elaborate heatmap options, especially with features from ggplot2 and RColorBrewer. In this example, I will use built-in R features. 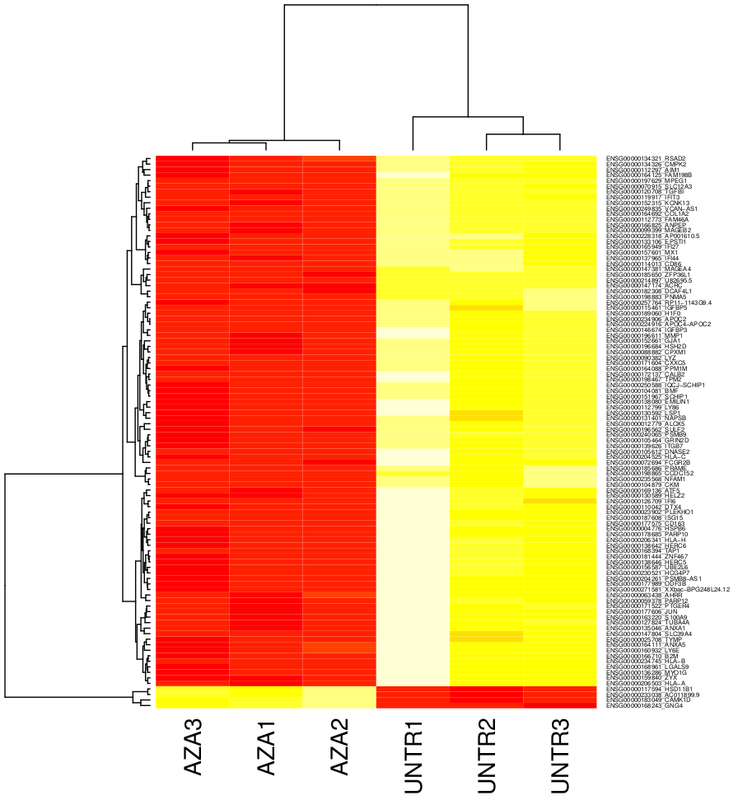 Heatmap representing gene expression of AML3 cells treated with azacitidine. Only top 100 most significant genes are shown. Statistical analysis was performed using DESeq. Scale: Yellow indicates high expression and red is low expression. As you can see, the heatmap shows stark expression changes for these top 100 most significantly differential genes. Also note that the majority of genes in the top 100 are down-regulated.